Based in Melbourne, we manufacture wood branding irons and do custom CNC machining in materials such as wood, aluminium brass and plastic. 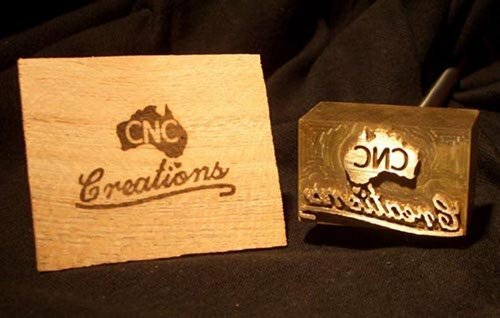 CNC Creations was founded in Melbourne, Australia in 2005 when two robotics engineers with a knack for machining and an interest in CNC set out to build a CNC router. Six months later with a precision CNC router in hand and growing list of jobs for it, we turned it into a business. We specialise in anything CNC. We do custom CNC machining in materials such as wood, aluminium, brass, plastic, composites and resin just to name a few. Products we have produced include custom furniture, house signs, artistic models, nixie clocks , branding irons, vacuum forming molds, photo frames, microwave and plasma research equipment, circuit boards and homewares with a touch of flare. Check out our photo archive to see just a few of the items we have made. We also have a range of standard products for sale that are designed and built in house. Be sure to check these out if you are after a unique product. Items currently for sale include nixie clocks, photo frames, branding irons and house signs.